Business practices in Japan inspire fierce and even acrimonious debate, especially when they are compared to American practices. 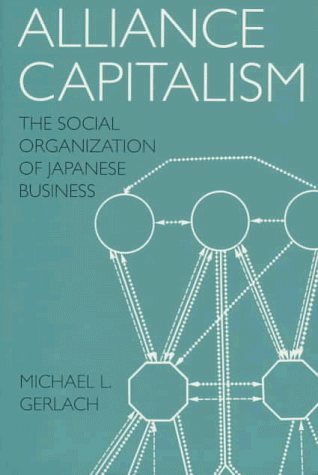 This book attempts to explain the remarkable economic success of Japan in the postwar period - a success it is crucial for us to understand in a time marked by controversial trade imbalances and concerns over competitive industrial performance. Gerlach focuses on what he calls the intercorporate alliance, the innovative and increasingly pervasive practice of bringing together a cluster of affiliated companies that extends across a broad range of markets. A comprehensive, balanced text, the perfect book for International Trade courses at the undergraduate level. It can also be used as a background text for beginning graduate courses. Intermediate Microeconomics is a pre-requisite for this text. The book provides exploration into building, leading, and thriving in global organizations in an increasingly flat world. The authors define flat world as one where service industries that dwarf manufacturing industries in terms of scale and scope. Corporate governance has gained tremendous importance in recent years, due to the developments brought about through through the emergence of global norms for corporate governance. Good governance reduces risk and facilitates its management. This is a textbook on international business strategy. It provides a quick refresher on international economics, trade, and finance, and builds a good theoretical base before addressing the basic functions, or tasks, of global management.